Looking for something that will get in all the nutrients you need but isn’t to heavy? 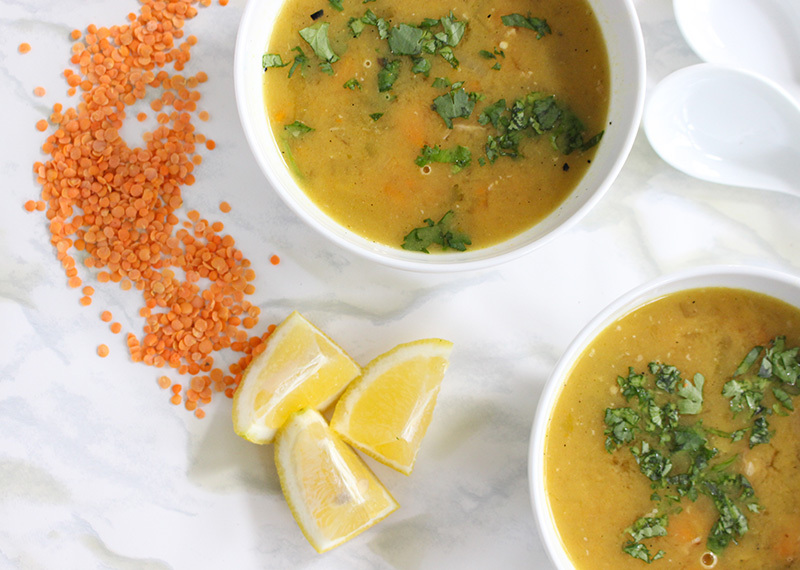 This fresh citrus lentil soup will do just that. 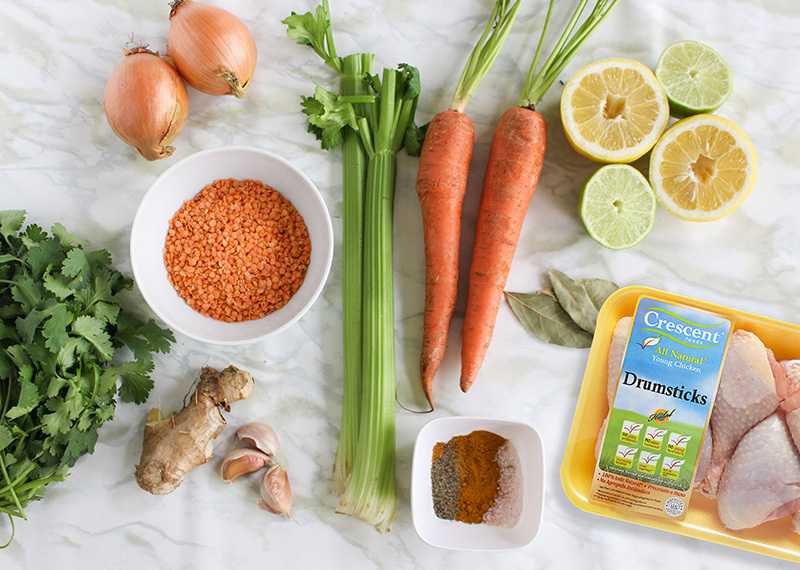 It’s packed with veggies, protein from the lentils and chicken to help nourish your body after a long fast. This is great to make ahead and store some in the freezer for later. Heat olive oil in a large pot over medium heat, add in drumsticks and season with salt and pepper. Let chicken brown on all sides, remove from pan and set aside. add onions, carrots and celery. Cook veggies for about 7-10 minutes, or until they start to become soft. Let soup keep simmering, remove bay leaf and discard. Remove chicken and shred the meat off the bones. Add shredded chicken back to soup and mix in. Serve with fresh cilantro and lemon.